According to the football transfer rumours in British Media (Daily Mail), Manchester United are targeting Borussia Dortmund midfielder Julian Weigl. The Germany international was signed by Borussia Dortmund in July 2015 from 1860 Munich for a fee of 2.5 million euros. The 21-year-old has a valid contract with Borussia Dortmund until June 2021. 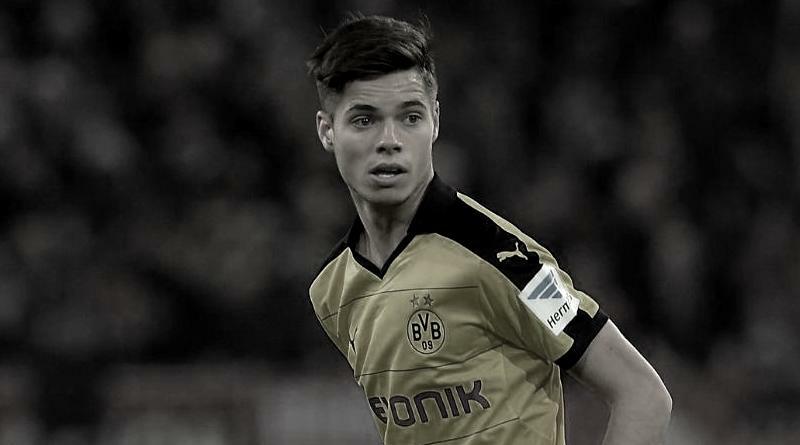 Weigl has played 94 times for Borussia Dortmund since signing from 1860 Munich, scoring one goal and creating one assists in that time. The 21-year-old is considered to be one of the best midfielders in Germany. The Germany international has been in outstanding form for Borussia Dortmund this season. Julian Weigl has represented Germany at Under-19, Under-20 and Under-21 level, winning 16 caps and scoring one goal, before making his senior international debut in May 2016. As a member of Germany national football team, Julian Weigl has won five caps. The Germany international is thought to perfectly fit the profile of midfield player Jose Mourinho wants to target in the summer transfer window. Mourinho wants to continue to strengthening his squad so they’re able to compete both domestically and in the Champions League next season. The Germany international would be a versatile addition for the Manchester United, having featured at central midfield and in a defensive midfield role. BVB 09 are not in a position where they need to sell and would like to keep hold of the midfielder, but right offer may force the club to consider a deal. According to the report in British Media, Manchester United’s two first options are not available at the moment. Tottenham are refusing to countenance any deal for Dier while Chelsea will only consider allowing Matic to move on once they seal a move for Tiemoue Bakayoko, so the new option for Mourinho is BVB 09 midfielder.